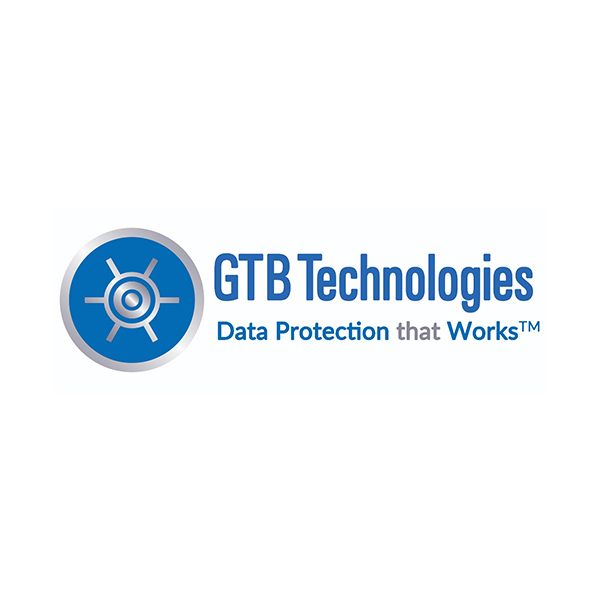 GTB Technologies Cybersecurity and DLP solutions enable its customers to allow the flowing of ideas and collaboration from within the enterprise, through the cloud and social media; with the comfort that their sensitive, confidential data remains just that. A platform protects an organization’s assets by accurately identifying sensitive data and stopping data leaks before the damage is done. It is impossible to predict which outbound channel the next data leak will occur. Some expected avenues are: corporate email, private email, webmail, blog, instant messenger, P2P application, internal web or FTP server etc. Therefore, the DLP system must cover ALL the relevant channels. The majority of “DLP” systems do not even try to cover all network channels. Typically, they cover SMTP, FTP, HTTP (client side), sometimes HTTPS and instant messaging. This coverage is further handicapped. For example, scanning SMTP, these systems require integration with the corporate email server and inspect only emails sent through it. Emails sent through an external ISP are overlooked. Emails accessed from outside the perimeter through POP3 or HTTP (server side) are ignored by such solutions. The dangers of file sharing applications and exposure of the internal web servers are disregarded. by its definition requires electronic enforcement of the data security policy – i.e. the product must be able to effectively block transmission of protected data. Many “DLP” products being sold are actually DLD – Data Leak Detection products. They are designed to report what data breaches have occurred, instead of stopping them in real time. The true DLP solution must inspect content. Making decisions based on the form (file type, file attributes etc.) or meta-data (author, language, size of attachment etc.) is not enough. The DLP solution must be sufficiently accurate. Among two types of errors (false positives and undetected leaks) the more dangerous error is a false positive. In the enforcement mode, even a small amount (0.1%-0.2%) of false positives can wreak havoc in the organization. Therefore, a DLP solution has to employ detection technology with virtually zero false positives. Another aspect of accuracy is that the DLP system must protect data and not a specific form of its representation. Therefore, the DLP system must be resilient to typical modifications of the data, such as excerpting, embedding, changing file format, re-ordering, re-typing, text re-formatting etc. The DLP solution must not duplicate the protected data in any form! If it does, then DLP becomes Data Leak Provoking. But many vendors still sell products, copying the data they are supposed to protect into their internal database. Encrypting such data, or keeping it in the form of the search index is not enough to satisfy this requirement! WHY GTB DLP IS THE SUPERIOR ALTERNATIVE TO "MARKET LEADERS"
GTB’s Enterprise DLP that Works platform is comprised of a broad set of integrated DLP facets and solutions cover an expansive set of outbound channels and protocols. GTB’s Intelligent and Advanced detection techniques, such as its unparalleled patented AccuMatch fingerprinting engines deliver a virtual zero percent false positive / false negative rates, OCR (Optical Character Recognition), and Drip-DLP to ensure effectiveness. Ease of deployment & Best Value – per Gartner research clients GTB’s CASB with a Twist offers accurate visibility and control of data within cloud applications including Office 365, Google G Suite, Box, Dropbox, Salesforce and others. GTB’s Content Aware DRM / IRM (Digital Rights Management) which automatically applies rights management controls based on sensitive data. performs Real-Time Data Classification on Data at Rest & Data in Motion while automatically enforcing data security policies. Off-Premise Fingerprint detection, no need to "phone home" (NO ONE ELSE CAN). Support & fingerprint (the most precise detection engine) Multi Terra Bytes of data without network degradation. Perform partial file match on Binary data such as Audio, Video, Executable, Images, etc. regardless of file size. provide coverage for all 65,535 ports on all TCP protocols. Controls Wireless (Wi-Fi, Bluetooth), SSL WITHOUT A PROXY, Encrypted data, POS, Social Media, Email, Cloud Storage and Applications such as Box, Dropbox & more; both on premises, off premises and in the cloud.